note: Download Goomba.gba, not the source code, unless you're a programmer who wants to read it. edit: Uploaded 12-12-2014, replacing 12-3-2014. Rewrote some of the save system, now it works correctly with less RAM avaliable. Added a system to fix up some EWRAM variables if they get overwritten, but it hasn't been necessary yet. Fixed the bug that causes problems when loading state from a GBC game with SGB borders, and another game was running at the time you loaded the state. It no longer loads the new game in SGB mode to try to get its border (and crashes). Fixed crashes due to stupid code waiting for vblank with vblank interrupts disabled. Slow motion works fine again. I still use this daily on my gba micro and i can't tell you how much i was happy when i saw that you are still working on this. Thanks a lot. I am play testing the new release and it is great so far. i am enjoying 60 fps on detective conan gbc game. its sgb border looks great too. it has background, window, object 1 and object 2 from 0 to 3 with 6 digit hexadecimal. 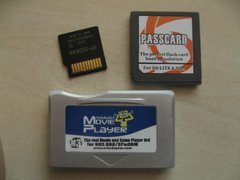 i mainly want this as i like using these http://boards.pocketheaven.com/viewtopic.php?t=7139 (Have a look at the "Super Game Boy" section) and there are more codes at Super Game Boy Magazine. It is easy to convert these codes to hexadecimal. This way i can change the palette at every level of these games and it looks great. super game boy fun at handheld. also i will edit this post for bug reports/tests etc. EDIT: Exit to Ez Flash IV main menu works perfect. EDIT 2: Savestate function saves and loads fine. Thanks a lot for this, this made my day. EDIT 3: I replicated the issue where you get garbled graphics/freezings when you are about to run out of SRAM space. EDIT 4: EZ4-64.exe combined with GBATA lets you use 64 kilobytes SRAM in ez flash iv. If you use the ez flash iv client, you only get 32 Kilobytes. You should autoselect and save palettes at first run and other times just load them like in older versions. It appears that EZ4-64.exe just puts some tags in the unused parts of the GBA header to indicate that it wants a 64k save. First of all THANK YOU! I was so excited when I saw, that you're working on Goomba color again. Mostly I love the new ammount of color palletes. Which brings me to my question. Is there a chance that color palletes are saved with the save state? I would love to choose my own color pallete for every single game and never have to touch it again in the future. 2nd thing is, that I propably found a bug. I started Metroid II and saved the state. Then I turned on "auto load save" function. When you return to the rom, the save state is loaded, but sound is off. It doesn't happen when you load the state manually though. Oh anf I just noticed, that the palette color preview (while still in menue) shows different colors than the final colors in the game. They are not totally different (mood is the same) but some colors change from green to blue for example. Is there something you can do? Can confirm save states work great, some options/preferences don't seem to be retained between sessions but that may be by design? Excellent release. Works great while playing Shantae. By the way, is it possible to play digital sounds correctly on this emulator? Sound isn't really emulated at all, it's just passed through to the GB sound registers which were left intact on the GBA. Digital sounds are all about timing, and Goomba Color doesn't provide anything remotely close to the same timing that a Game Boy would. Just want to say a big "THANK YOU!" to Dwedit 'cause with the new 14-12-14 version I can play some of my favourite gbc games at full speed! (GBC edition of donkey kong land 3 is one of these...and shantae of course!). These are ALL GBC games. \RAYMAN* HUD BUG AND BIG SLOWDOWNS. \HARRY POTTER SORCERER STONE* MENU AND DIALOG BOX BUG, SLOWDOWNS. \HARRY POTTER CHAMBER OF SECRET* MENU AND DIALOG BOX BUG, SLOWDOWNS (fps 45). \TOM JERRY MOUSE ATTACK* HUD BUG AND BIG SLOWDOWNS. \DRAGON'S LAIR* DON'T REALLY KNOW WHATS HAPPENING, THE GAME LOADS RANDOM LEVELS. I LOVE the HarryPotter series on gbc, hope that it will work properly in a next release of your emulator! I'll try to test other games and post a report here. I see. Still, it's good to play some GBC games on my SP. Thanks for your work. I found a small graphic bug in Link's Awakening DX when you press select in the pause screen. Also in Kaeru no Tame ni Kane wa Naru (For Frog the Bell Tolls) there is a small graphic bug when you press start. Other than that it seems to work perfectly for me. Thank you very much for your continued effort. The bug in Link's Awakening is caused by the 10 sprite limit. On a real system, there is a limit of 10 sprites per scanline, and the excess sprite would be hidden by that. Goomba Color does not emulate the sprite limit at all. So this is rather due to a filthy programming in Link's Awakening? Do you plan to implement a query in Goomba Color, to check whether there are more than 10 sprites per scanline or not? QIX ADVENTURE; running at 45fps speed. BUGS BUNNY AND LOLA BUNNY IN CARROT CRAZY; The game run at full speed but there are weird sprite bugs around bugs bunny sprite while playing. CRYSTALIS; the overworld scrolls very bad. Again, Thank you for this emulator. Hi i still can't get the saves to work. Can anyone pls give me a step for step instruction? I choose wario.gba, then choose the game i want to play. When i leave the game i can't load any save. I haven't created a clean .sav file for the compiled games is that right? It's working fine for me. Look at the bottom where it says how big the save file will be, and how much free space is left. If there isn't enough space left, you may need to delete other stray save files. It works fast and great. But Konami collection VOl4 europe (GBC version) not run at all, black screen. Can you finx it? i like castelvania 2 in color. recently got some spare time and pickup my GBM again. so great to know you're working on this again! I can't get the gbc games to go in color? How can I Fix This? There is no source code for it, but all you do is concatenate GB files onto the end of goomba.gba. The Smurfs (GB) doesn't work with this version. also not in the goombacolor_3_31_2008 version. the latest goomba 2.0 (without "color") of the year 2004 works perfectly. Is there a possibility that linking might be brought back? Linking has never been present in Goomba or Goomba color. I found a bug with the 'autoload state' function. It has very different behavior depending on the rom and other Goomba settings. Pokemon Red: SGB border is gone, graphical glitches (saved state in settings, coming back to menu results in black screen). Going to "Other Settings" and setting "Game Boy" to "GB" fixes this issue. Pokemon Gold: State does not autoload at start (or game crashes and restarts? ), no SGB border. Disabling SGB borders or changing "Other Settings>Game Boy" mode fixes this problem. Legend of Zelda: Link's Awakening DX v1.2: Same as Pokemon Gold. Tetris Attack: Black screen, no sound. Setting "Game Boy: GB" fixes this. Tested on VBA 1.7.2 (as merged files created with goombafront) and M3 Movie Player (this version, as a separate goomba.gba and roms), both gave me the same results. Aside from that, I really want to thank You for the Goomba Color!